Oakley make Hyde Plus charity donation! 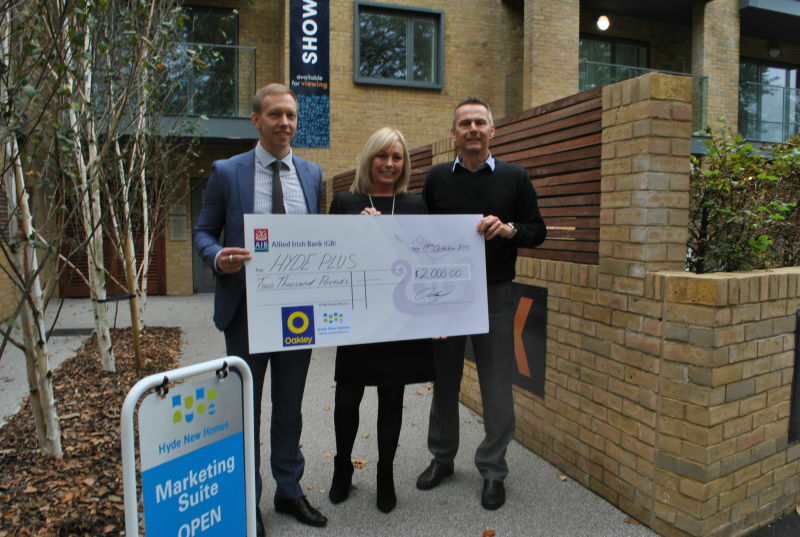 This week Chris Oakley, the Executive Chairman of Oakley, proudly presented a cheque to Debbie Small, Sales and Marketing Director at Hyde New Homes at Hyde’s prestigious new residential development One Hove Park. One Hove Park comprises 74 recently completed award winning apartments, with 70% of the development sold off plan and the balance of units recently released on completion, with a new 3 bedroom show apartment just opened. Chris Oakley commented ‘we have a very successful relationship with Hyde, having recently completed the marketing of their award winning scheme at Super B by Brighton Station, where we sold all 94 apartments off plan. We are now also proud to offer the superb apartments at One Hove Park on behalf of Hyde, which only last week won the 5* award for the best residential development at the UK property awards. Photograph from left to right.